The gardens of Earlscliffe have often had an enchanting effect on those who who visit them. So much so that on occasion Earlscliffe has been ranked alongside the most famous gardens in the world. For example, in 1982 the Robinson Garden at Earlscliffe made its way into the book "Large Gardens and Parks" by Tom Wright alongside Versailles and some of the more celebrated English gardens. In 1995 after the garden was filmed as part of Don Burke's Australian documentary programme "Burke's Backyard Overseas", Don described "David Robinson’s garden" as one of eight places of interest to visit in Ireland. 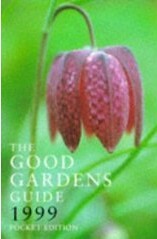 And in 1999 it It was awarded the highest accolade in the Good Gardens Guide , gaining some controversy along the way . Although all of this occurred in the last 35 years, the location and gardens at Earlscliffe have been enchanting people for much longer. The following pages tell the story of the gardens at Earlscliffe from the 1930s up to the present day.